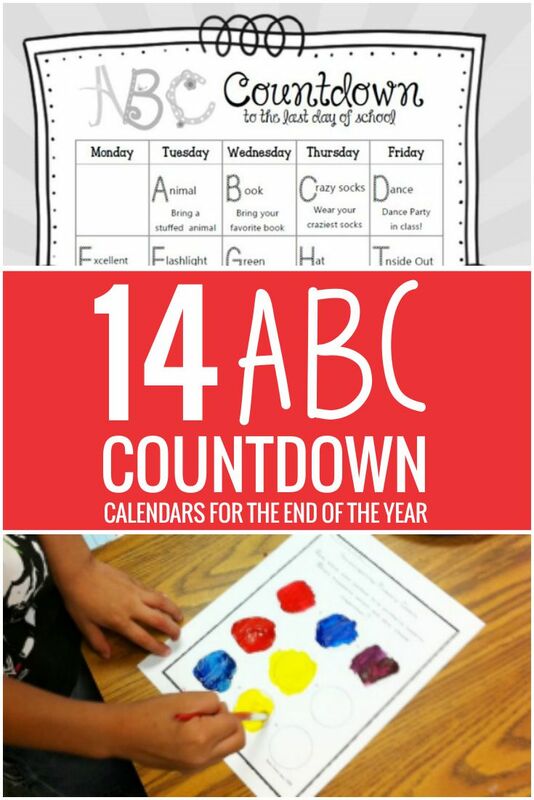 Kindergarten Teaching Ideas » End of the Year » 14 Alphabet Countdown Calendars: Here Comes the End of the Year! 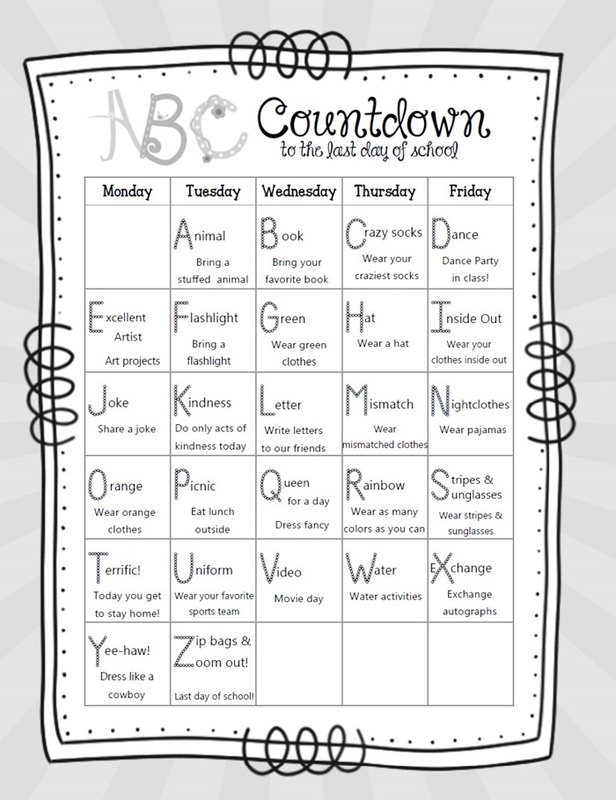 Doing an ABC countdown is a fun and simple way to wind up your school year together. 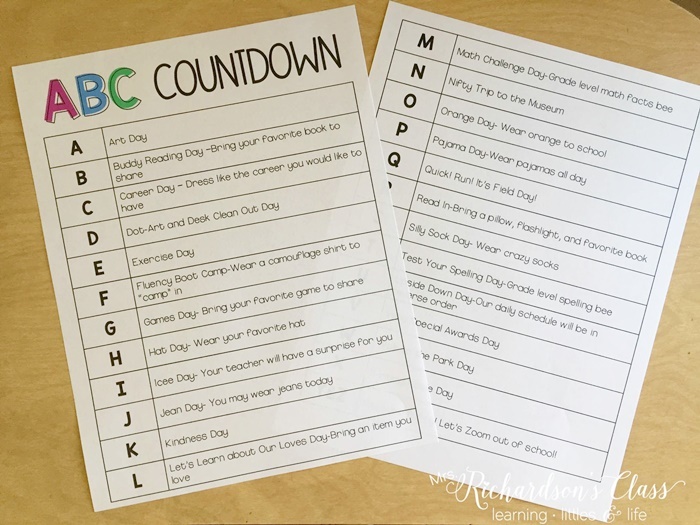 Here is a spiffy collection on how to pull together an alphabet countdown to finish out your kindergarten year. 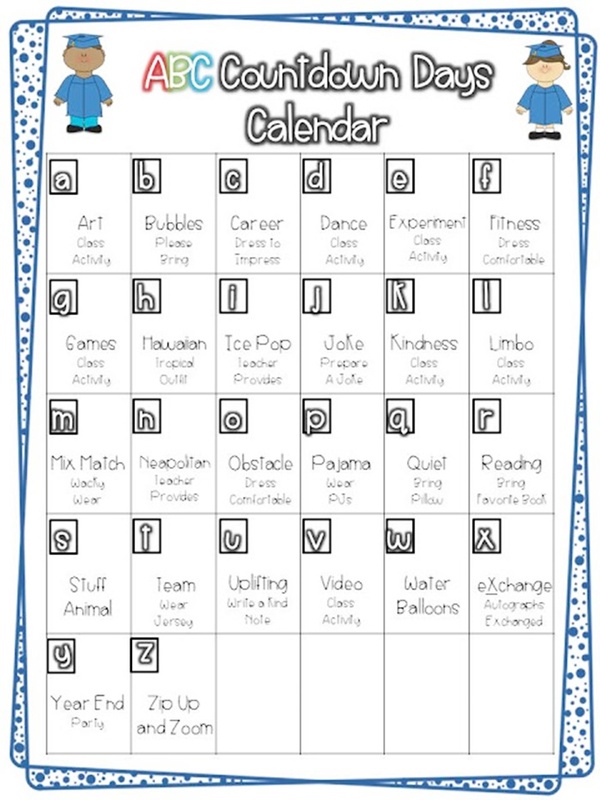 Some end of the year countdowns are printable and ready to go, others are editable and some are just ideas so that you can create your own list. Dot art sounds like an easy way to celebrate D day in this ABC Countdown list that’s free. 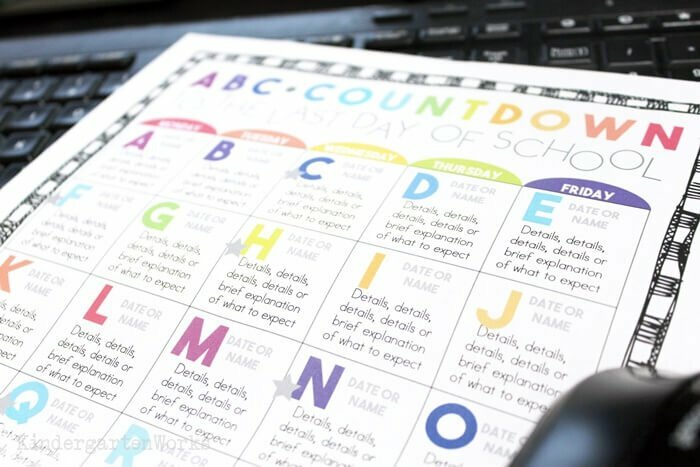 I think this teacher has a nice balance of activity based countdown ideas that could easily integrate into a relatively normal day and things that really add spice. 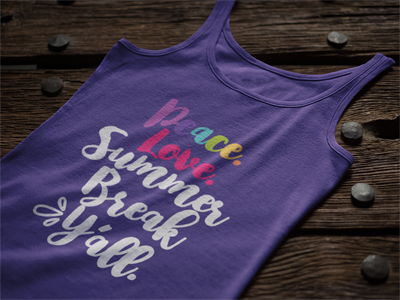 Wearing a rainbow of colors is an easy way to make R day happen with this free printable ABC countdown to summer. 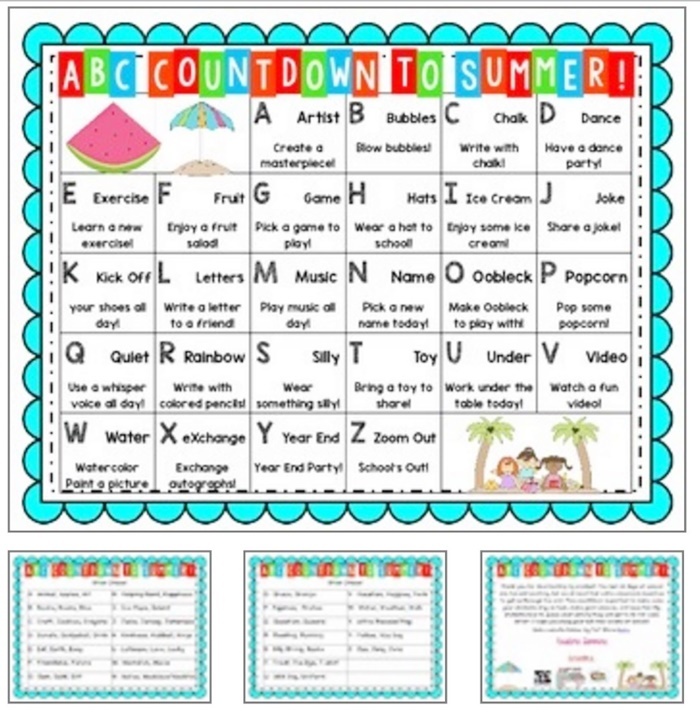 A year end party sounds like a great Y day idea from the alphabet countdown free download. 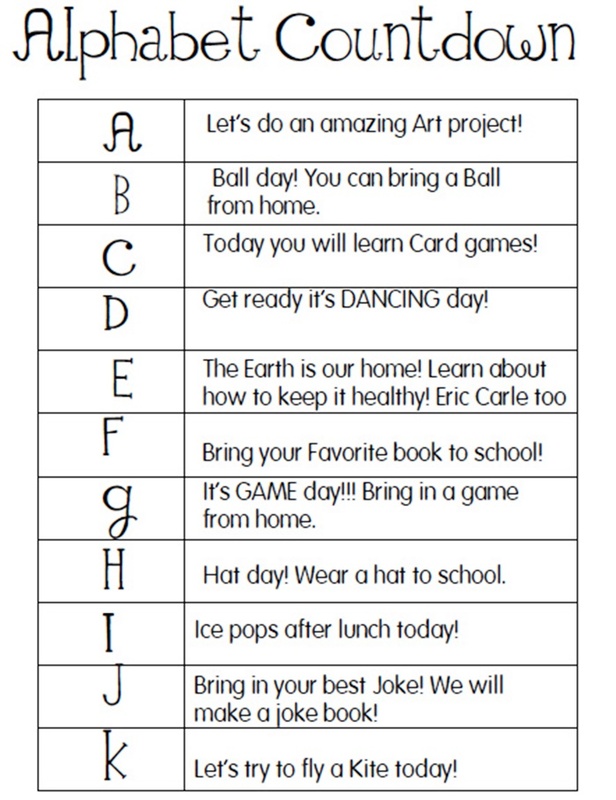 Ha – I could totally dig “inside out day” for the letter I. Why not? 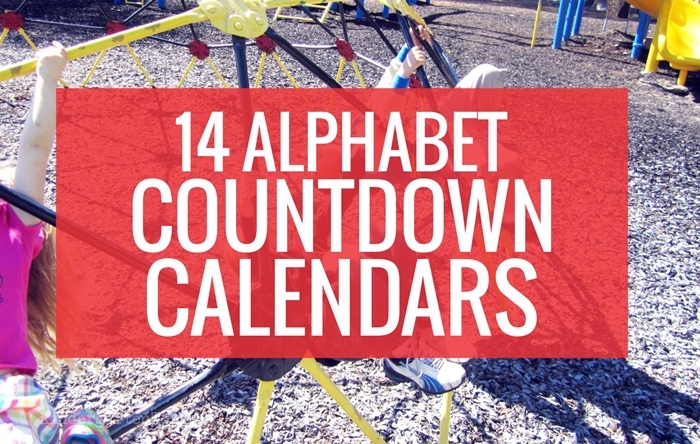 There is lots planned in this fun abc countdown. Use Microsoft Word to edit this calendar to countdown to the end of the year. Add the dates and change up what you need. 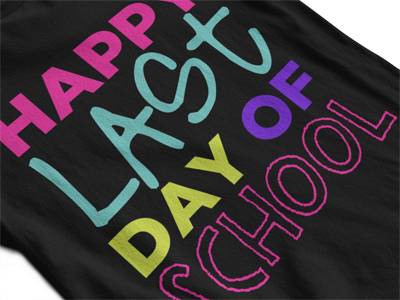 Or give this free, colorful, editable Alphabet Countdown to the Last Day of School calendar template a try. It comes with digital stickers and spots for you to fill in exactly what you want to do. You may just need to find something different to fill in a few days of your calendar, so here are some teacher who’ve shared their lists. 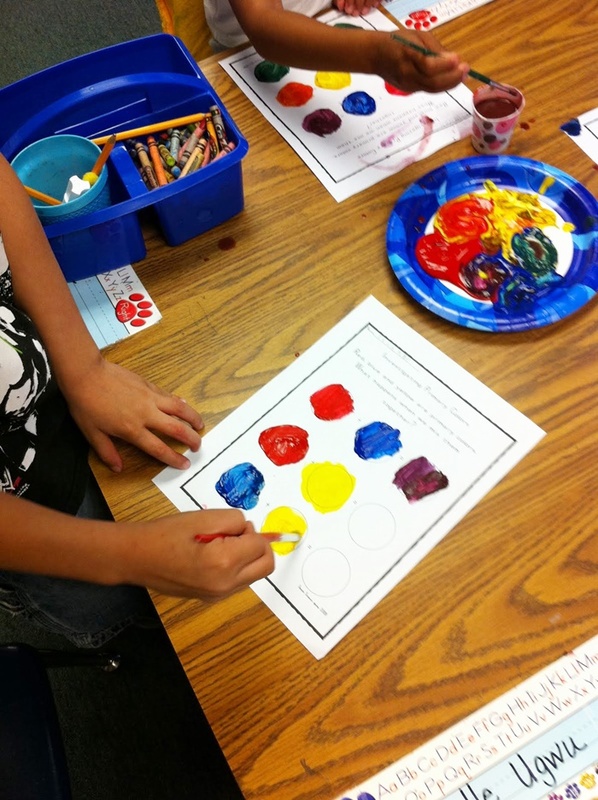 Get a full look at 26 days to the end of the year in pictures with this kindergarten list of ideas. 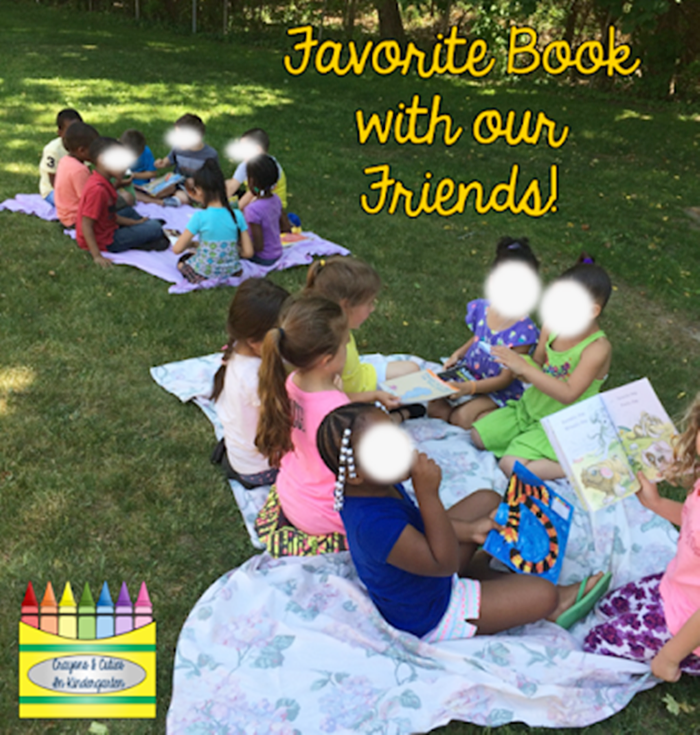 Take some reading time and turn it into sharing favorite books with friends for F day. We did it too, but with flashlights in the classroom. You’ll love all of the pictures in this article for letter B through to O days. I love the idea of taking off your shoes for the last hour of the day to celebrate the Letter O. It doesn’t cost a thing and you can still continue on with your day as normal. I could totally get behind the idea of “creating colors” for C day. It’s my favorite from this collection of A-H pictures of a kindergarten countdown. 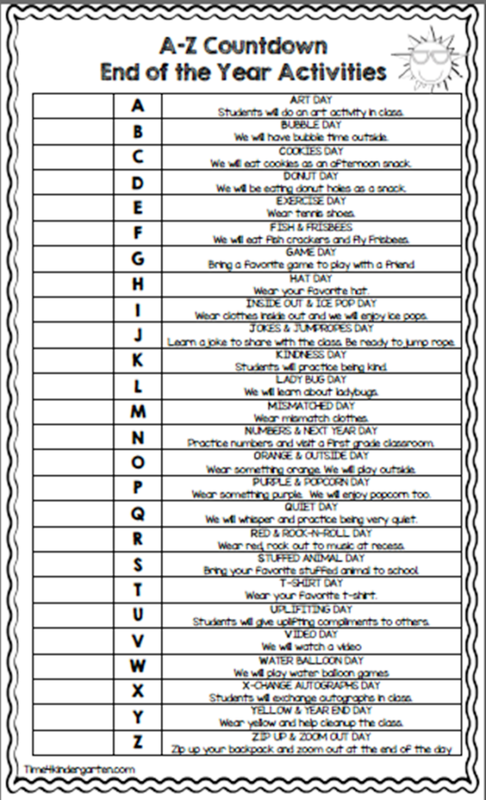 Take a list of 3-4 things for each letter of the countdown so you can pick and choose what will work for you. 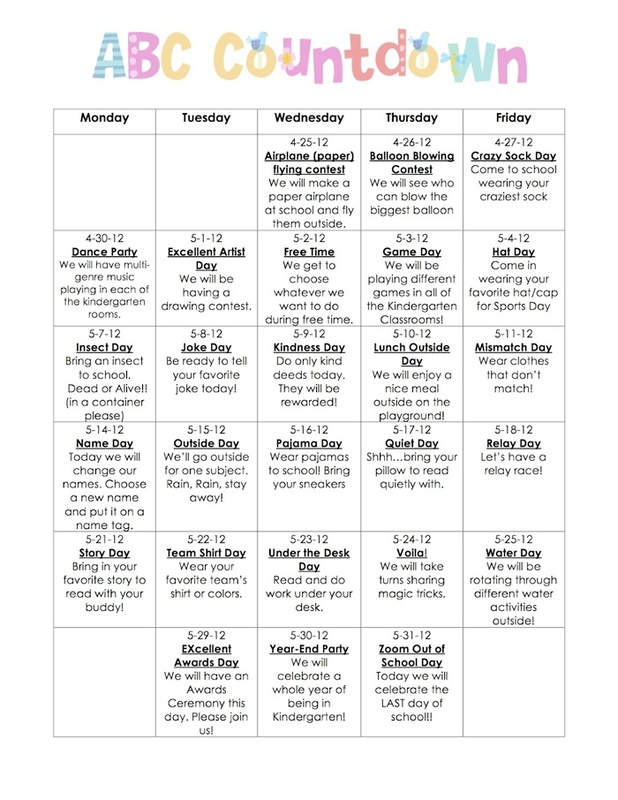 Ahhhh… it totally makes sense that you’d use extra recess for X day. Who wouldn’t? N: New Name Day! Kids take a sentence strip home a few days in advance and write themselves a name tag with a new name of their choosing. On N day, they introduce themselves to the class with their new name and we have to call them by the new name all day. It’s crazy but So Fun. I think doing an alphabet countdown can be just what the doctor teacher ordered if you scale it to match the energy you’ve got left. I thought it would be more work and leave me only more exhausted and really – who wants one more thing added to their plate at the end of the year? I generally went with only a handful of food days (gum, lollipops) and had that students bring in if they wanted to participate (or they could also share with a friend if they brought extra). You could also ask for a class donation from parents if you’ve got time. And I tried to only have a few “bring in” days since I knew not all students would be able to participate each time. 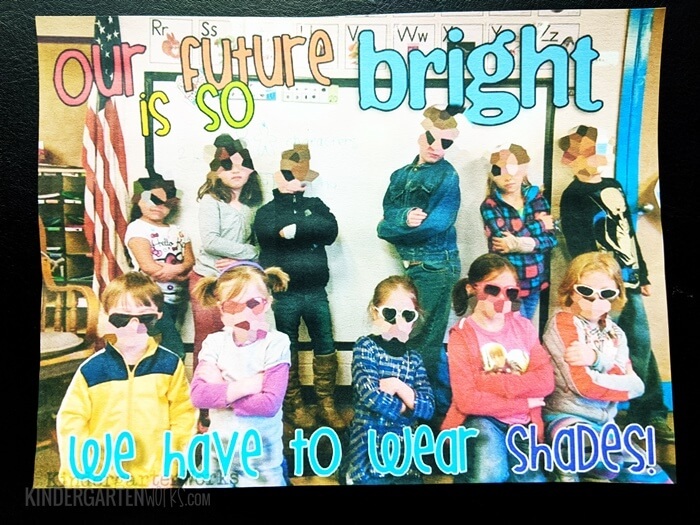 For example, not all students wore sunglasses for S day – but it was a fun novelty for the day and they felt really cool at recess. 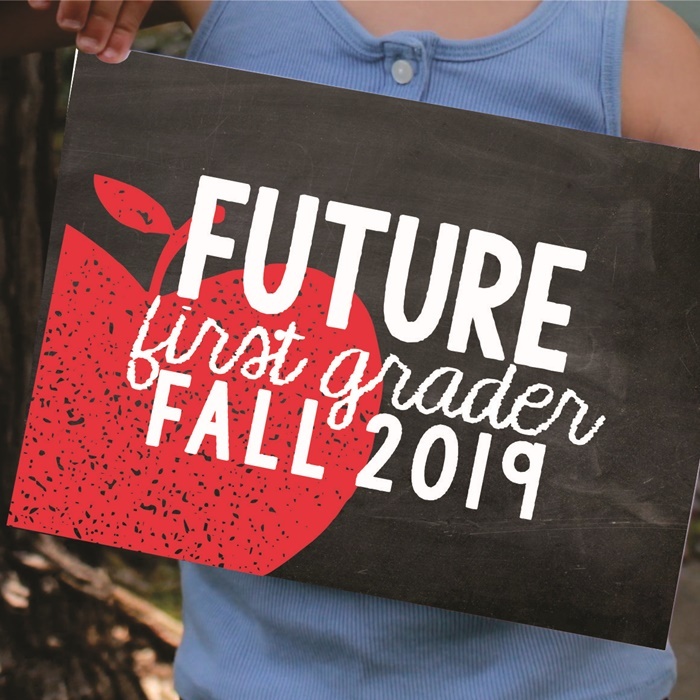 Check out this adorable photo opp one that’d be cute as an end of the year parent gift too! 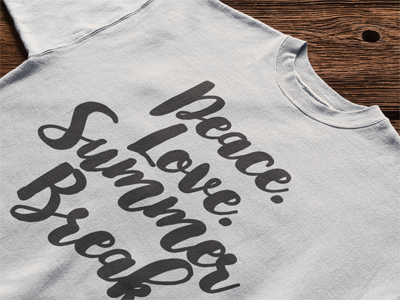 Have you already got your end of the year teacher shirt? Here are my current favorites. Hurry – there’s still time to order. I used the editable countdown calendar and many of the ideas posted above to make a fun countdown calendar for our kinder classes at school. My partner teacher was skeptical but so far (we are on F) it has been great. I created it in a way that I would not walk into school and think “Oh, man, I forgot to prep X.” It’s mostly no prep fun, like hula hoop contest (we have a ton of them) or joke day (tell a joke to the class if you want) or reading day (bring a favorite book) etc. I have 3 food days (ice pop, popcorn, watermelon, all of which I am taking care of since it’s easy) and that’s it. I am loving it, so fun and even better, easy! Oh my – yes, easy is key! That’s so awesome. I’m glad you’re loving it so far. Watermelon is a great idea. 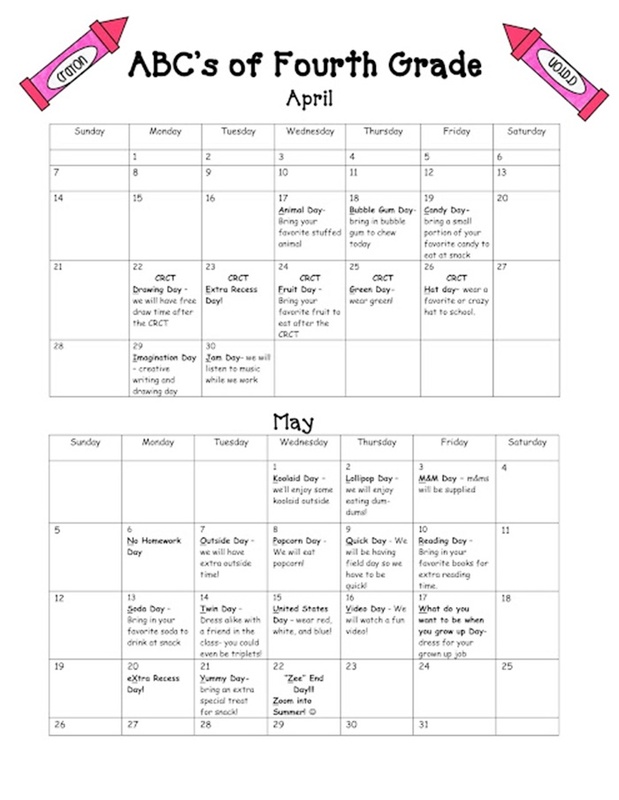 Thanks Leslie for including my Countdown Calendar – your post is amazing with lots of great ideas for making the end of the year so much fun! I love your ideas Tiffani – thanks for consistently sharing with teachers! Here’s to a great end of the year! !